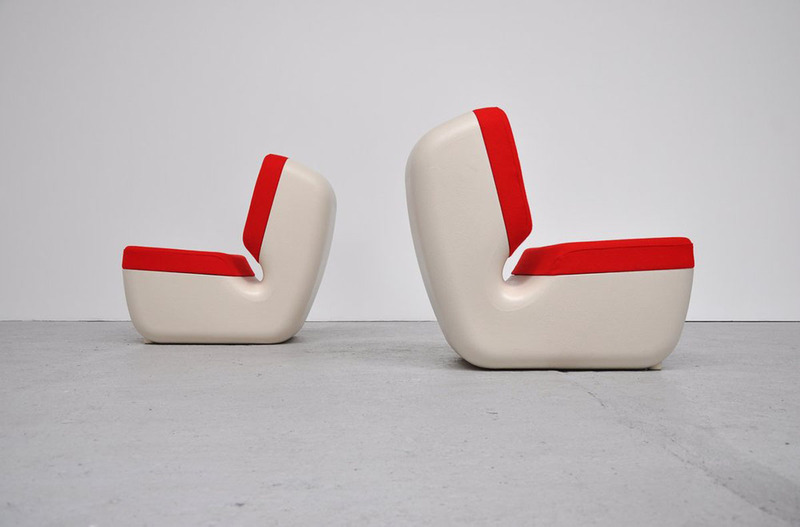 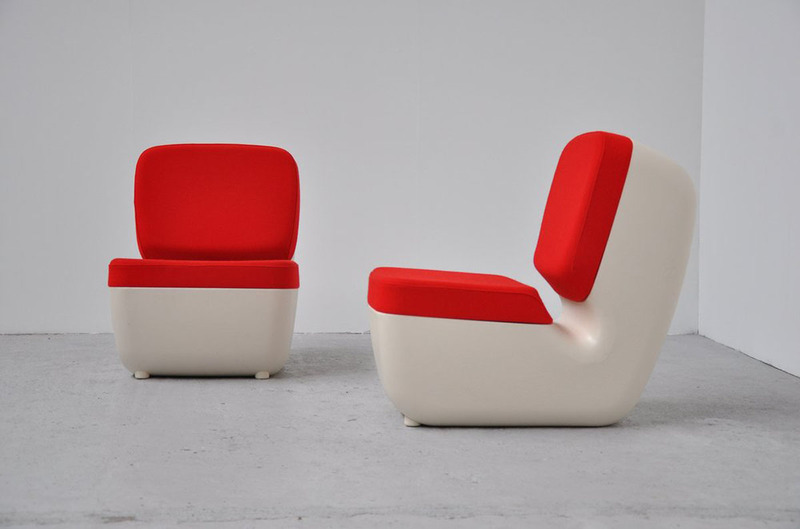 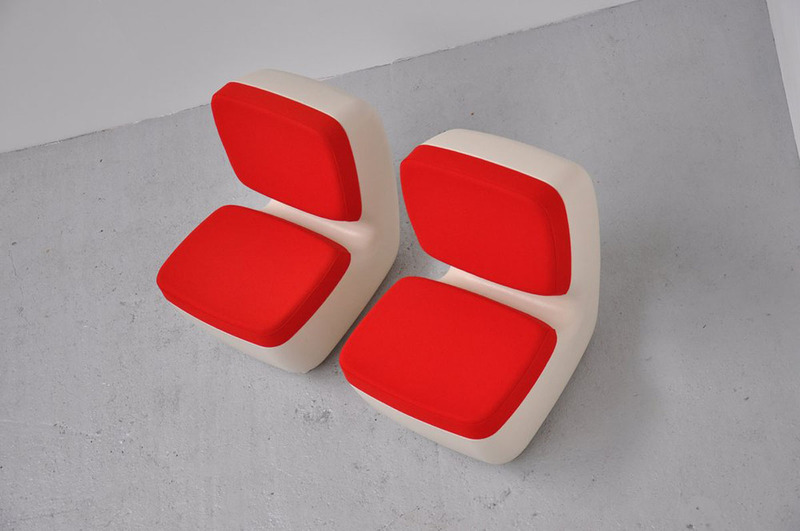 Very nice and elegant shaped easy chairs designed by top designer Marc Newson for Magis, Italy 2003. 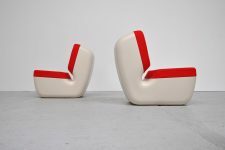 These chairs have a nice off white plastic frame and a nice red wool seat and back which is a great quality fabric. 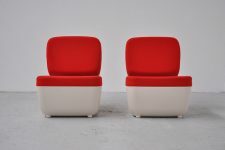 Chairs are in a super condition, they come from a waiting room in a Vodafone office building so they are not used much. Chairs seat great and the new price is 900 Euro with delivery time etc.